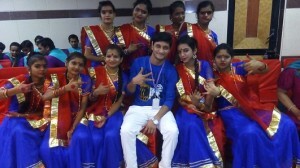 The WAVE Group is committed to making significant efforts for the empowerment of the communities that are directly or indirectly connected with its business. An integral belief of the Wave Group is to give back to the communities that it serves through its Corporate Social Responsibility (CSR) programs. In addition to social responsibility, the Group endeavors to build sustainability into everything it does to reduce inequity and to maintain the natural equilibrium of the environment and eco-system. It shall strive to become one of the top corporate entities in India and adheres to CSR and sustainability principles across the value chain of the organization by promoting creative corporate culture, ethics and governance beyond compliance, customer satisfaction, operational excellence, employee engagement and involvement of stakeholder communities in its growth. In order to implement the CSR program, the WAVE Group has initiated The Ponty Chadha Foundation in the memory of it erstwhile visionary chairman the late Mr. Ponty Chadha. 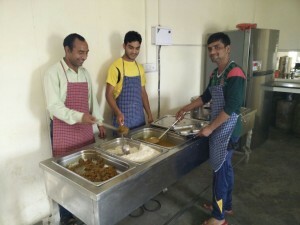 Given the fact that Uttar Pradesh has a very high population living below the national poverty line and WAVE Group has large business operations in the state, the focus of Ponty Chadha Foundation’s CSR programs is initially in Uttar Pradesh. The program coverage to other states will be expanded gradually. 1. Education and Skills Development - aimed to promote quality formal school education for differently abled children and to provide vocational training to rural youth as an opportunity for livelihood. 2. Healthcare - aimed to improve mortality rates in rural areas due to lack of medical facilities, to promote safe drinking conditions for prevention from diseases, to provide basic medical support to underprivileged, organizing blood donation camps etc. 3. Rural Development – aimed to act as a support system for the disadvantaged communities in rural areas through initiatives in food security, WASH, livelihood, electrification, road construction, schools etc. 4. Promotion of Sports – aimed to promote sports in urban and rural areas including promotion of Hockey and local sports in rural schools. CSR activities will be implemented through Ponty Chadha Foundation and also through collaboration with other companies and local NGOs. Concurrent review and monitoring of CSR activities shall be undertaken by the WAVE Group (Ponty Chadha Foundation) CSR team with advisory support from a Corporate Advisory Board (CAB) comprising of Senior Functionaries of Group Companies & Ponty Chadha Foundation who will meet on a monthly basis to review the progress of various programmes and to advise the Corporate Social Responsibility Committee of the Board on new programmes / initiatives. Corporate Social Responsibility Committee comprises of members of Board of Directors of the Company who shall meet on a Quarterly basis & review the report of the Corporate Advisory Board (CAB) & suggest such remedial steps/ new initiatives which should be considered, evaluated or implemented. The Foundation is already undertaking and aims to undertake the following programs. 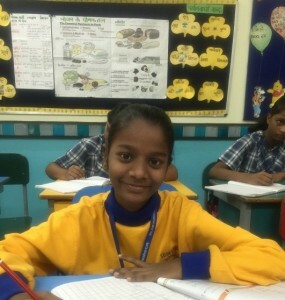 Schools have been established in NOIDA to impart education to both privileged and underprivileged children. 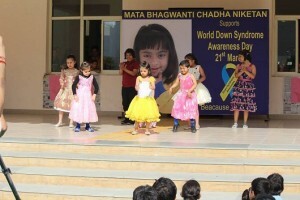 The Mata Bhagwanti Chadha Niketan (MBCN) in NOIDA is a school for differently abled children and is an excellent initiative of the WAVE Group. The school caters to educational needs of 800 children and is considered to be the largest of its kind in Asia. The Ponty Chadha Foundation is in the process of establishing a Skills Academy in Ghaziabad to improve the employability prospects of unemployed youth belonging to the poorest of the poor families by training them on job oriented skills. Through this initiative the WAVE Group will also contribute its bit in complementing the Government efforts at achieving the target of 500 million skilled manpower by 2022. Health camps are being organized every month across the CSR villages of WAVE City and Sun City in Ghaziabad and Gautam Budh Nagar (NOIDA). 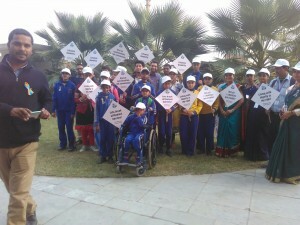 The camps are held in partnership with Dr. Ram Saran Garg (Indo-German) Hospital. About 100 to 150 people are covered in each health camp. At a later stage when the health camps gain acceptance of the local community and district health administration, these will be held jointly with the Government to celebrate Village Health, Nutrition and Sanitation Days (VHNSD). In collaboration with the Government’s flagship program on sanitation, the Nirmal Gram Yojana, prospects of constructing household toilets for rural poor are being explored. If feasible, a public – private – gram panchayat partnership will be initiated to construct soak pit/bio-toilets. Women empowerment through options of sustainable livelihood will be promoted for women belonging to below poverty line households in the CSR villages of Wave City and Sun City in Ghaziabad and Gautam Budh Nagar (NOIDA) by encouraging them to undertake income generating activities through Self-Help Groups (SHGs). It is proposed to link the SHGs with rural banks and cooperative banks for carrying out their business. To encourage sports among children, school level sports tournaments will be sponsored by the Foundation. The national game of Hockey will be promoted in both rural and urban schools to nurture talent.